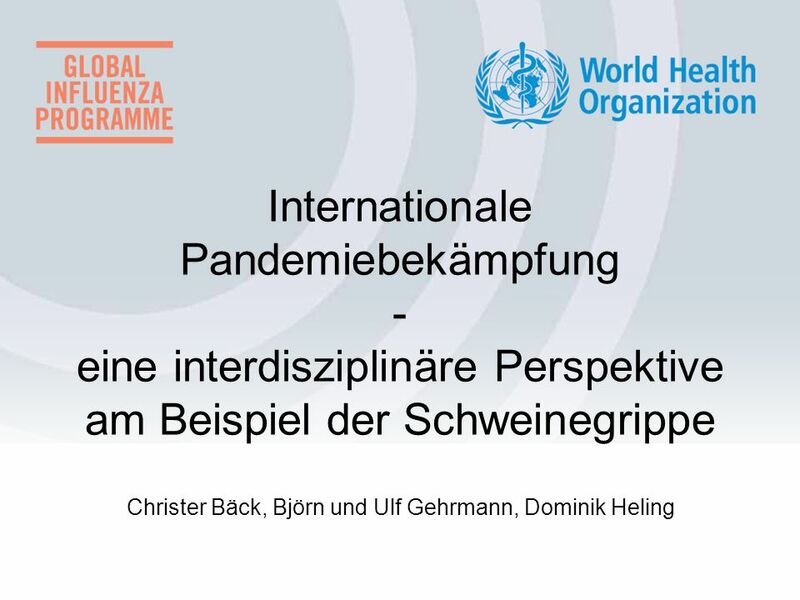 Internationale Pandemiebekämpfung - eine interdisziplinäre Perspektive am Beispiel der Schweinegrippe Christer Bäck, Björn und Ulf Gehrmann, Dominik Heling. 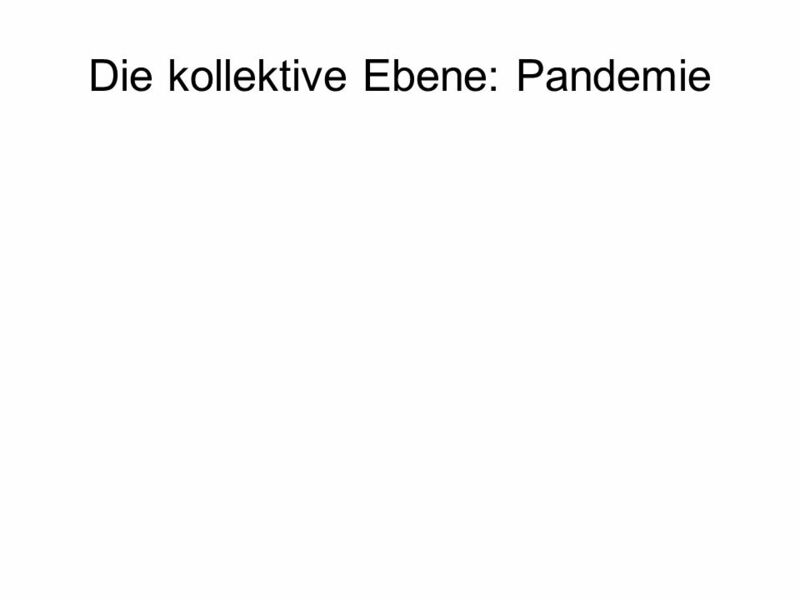 4 Was ist eine Pandemie und wie entsteht sie? 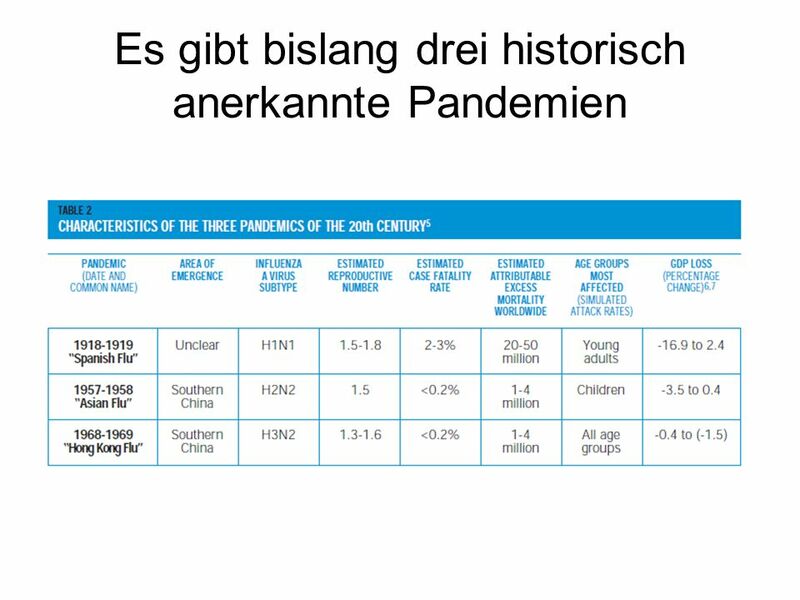 An influenza pandemic occurs when an animal influenza virus to which most humans have no immunity acquires the ability to cause sustained chains of human-to-human transmission leading to community-wide outbreaks. Such a virus has the potential to spread worldwide, causing a pandemic. The development of an influenza pandemic can be considered the result of the transformation of an animal influenza virus into a human influenza virus. 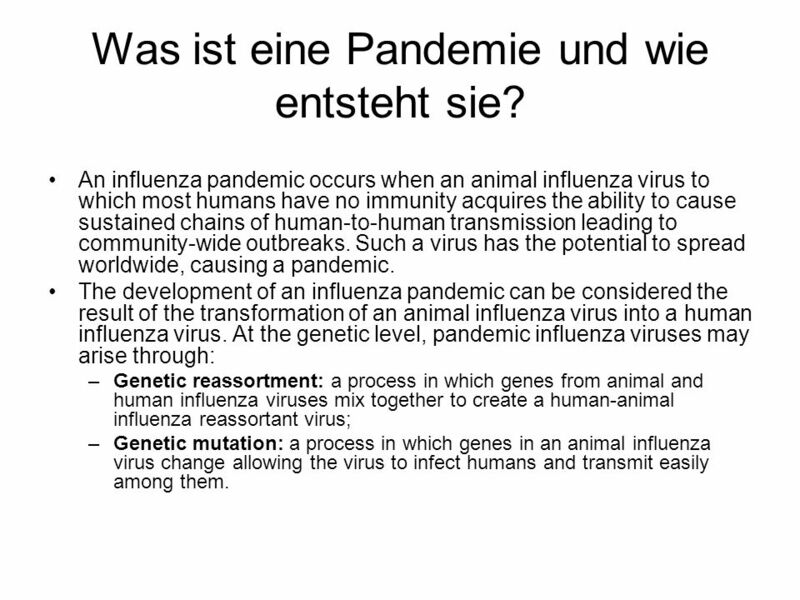 At the genetic level, pandemic influenza viruses may arise through: Genetic reassortment: a process in which genes from animal and human influenza viruses mix together to create a human-animal influenza reassortant virus; Genetic mutation: a process in which genes in an animal influenza virus change allowing the virus to infect humans and transmit easily among them. Actions taken during Phases 1-3 are aimed at strengthening pandemic preparedness and response capacities at global, regional, national and sub-national levels. 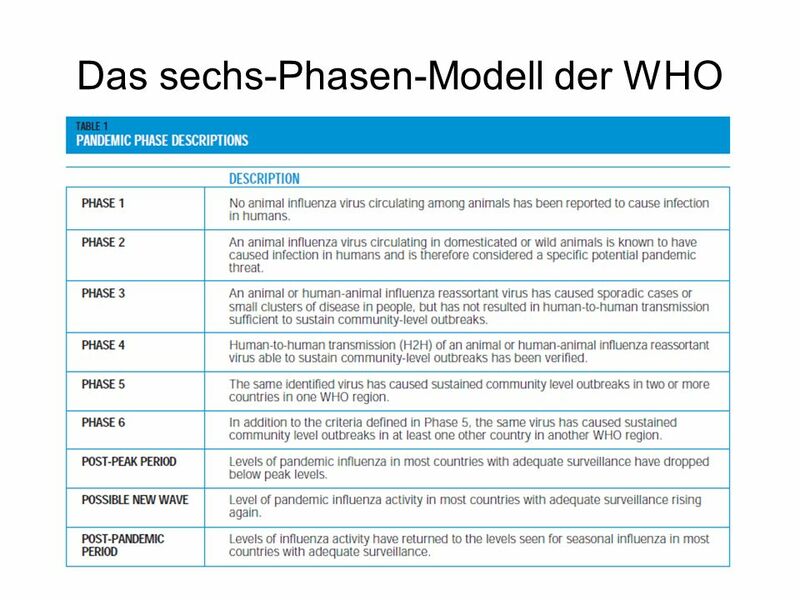 The overarching goal of actions taken during Phase 4 is containment of the new virus within a limited area or the delay of its spread. 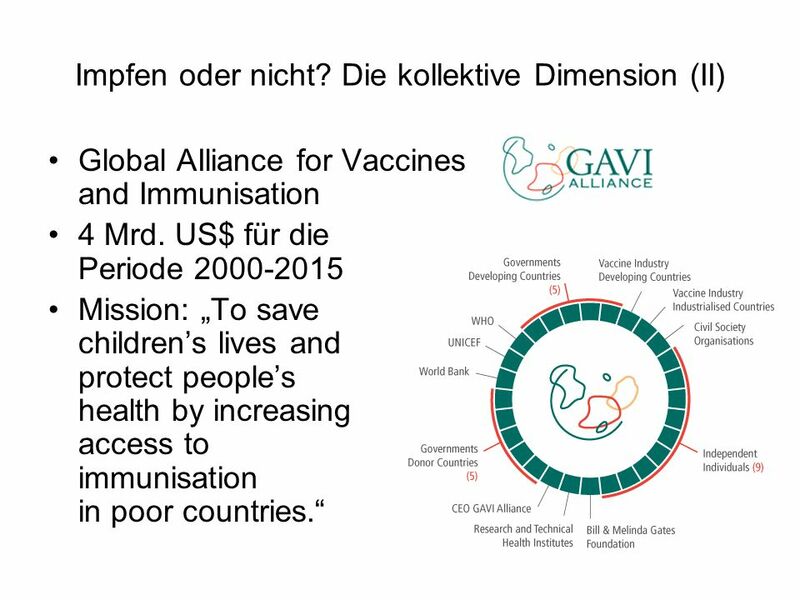 If successful, valuable time could be gained to implement interventions including the use of vaccines. 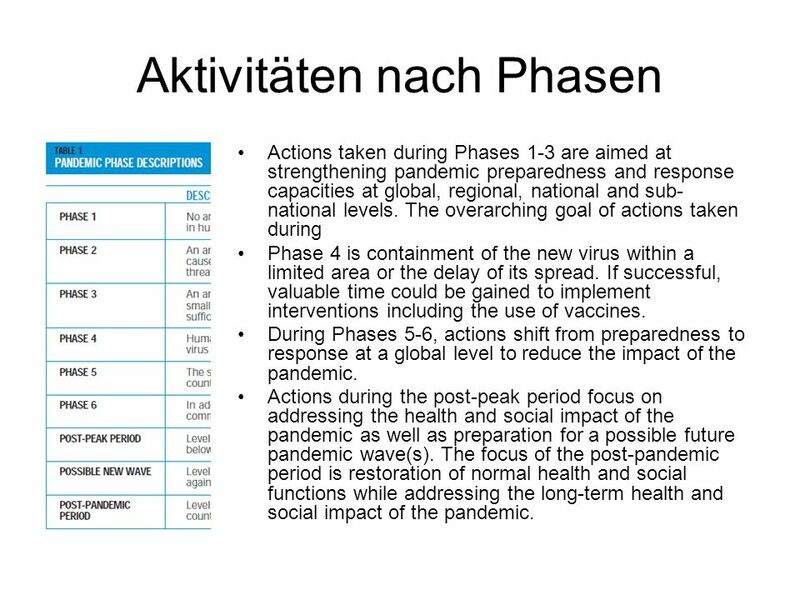 During Phases 5-6, actions shift from preparedness to response at a global level to reduce the impact of the pandemic. 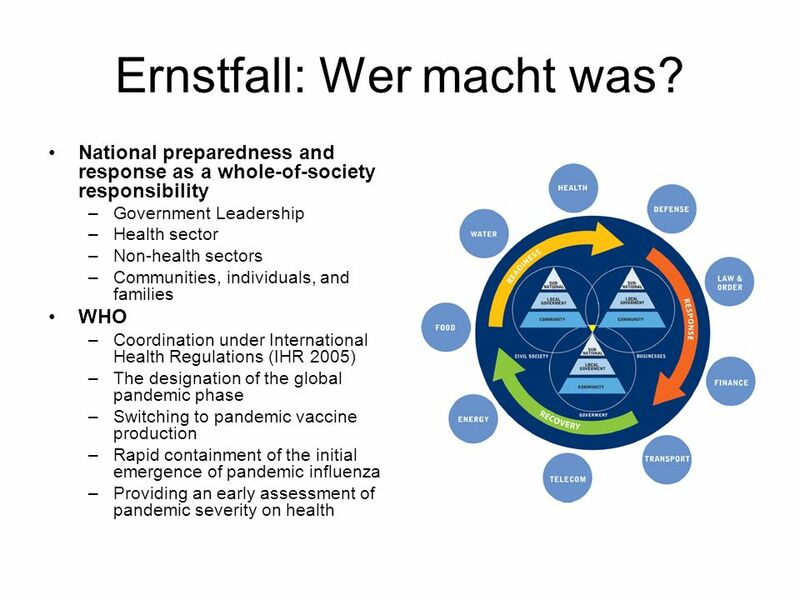 Actions during the post-peak period focus on addressing the health and social impact of the pandemic as well as preparation for a possible future pandemic wave(s). The focus of the post-pandemic period is restoration of normal health and social functions while addressing the long-term health and social impact of the pandemic. 8 Ernstfall: Wer macht was? Rapid spread of pandemic disease leaving little time to implement ad hoc mitigation measures; Medical facilities struggling to cope with a possible large surge in demand; Potentially serious shortages of personnel and products resulting in disruption of key infrastructure and services, and continuity of all sectors of business and government; Delayed and limited availability of pandemic influenza vaccines, antivirals and antibiotics, as well as common medical supplies for treatment of other illnesses; Negative impact on social and economic activities of communities which could last long after the end of the pandemic period; Intense scrutiny from the public, government agencies, and the media on the state of national preparedness; and A global emergency limiting the potential for international assistance. 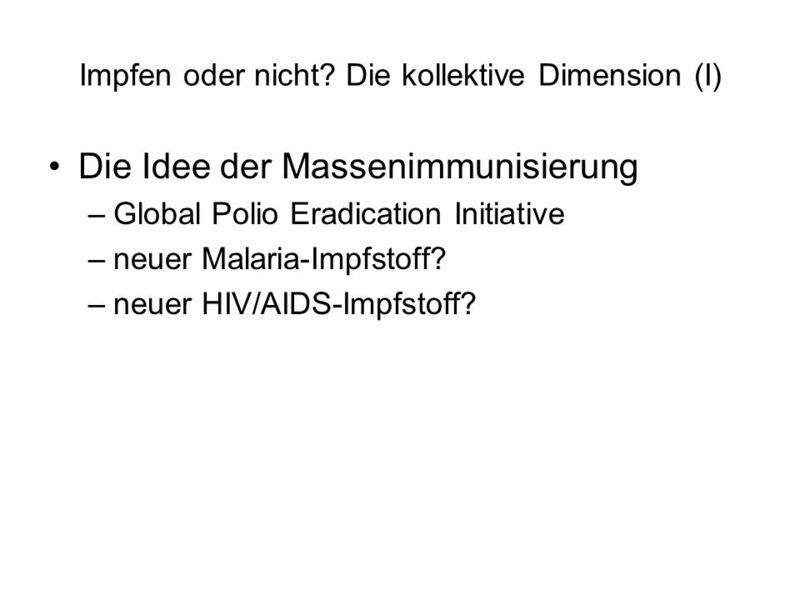 Die Idee der Massenimmunisierung Global Polio Eradication Initiative neuer Malaria-Impfstoff? 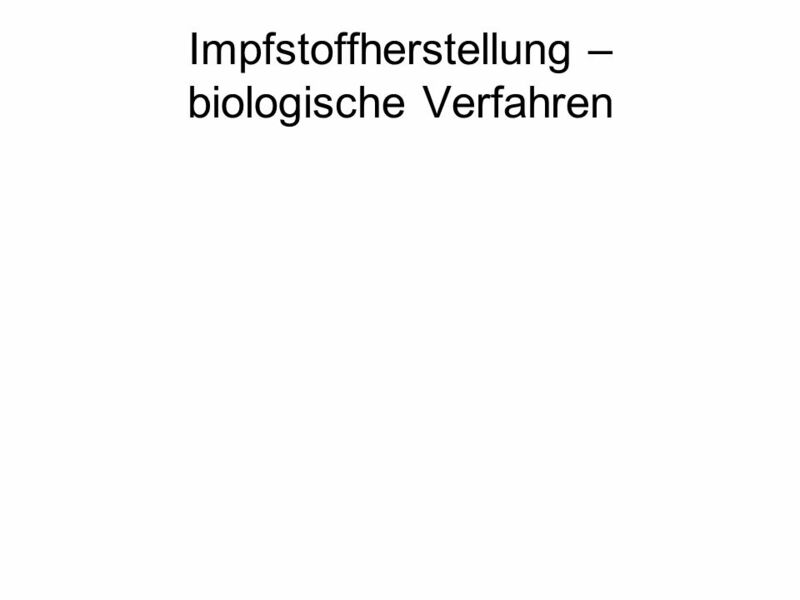 neuer HIV/AIDS-Impfstoff? 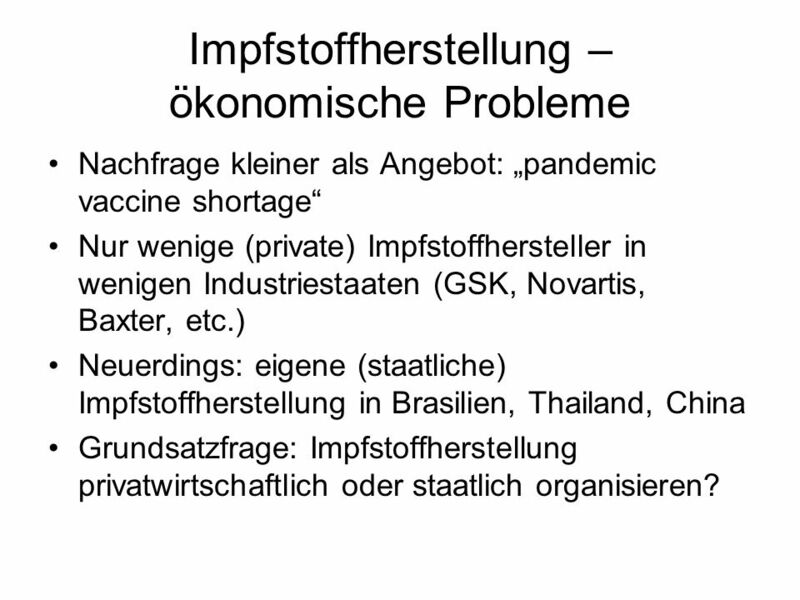 Nachfrage kleiner als Angebot: „pandemic vaccine shortage“ Nur wenige (private) Impfstoffhersteller in wenigen Industriestaaten (GSK, Novartis, Baxter, etc.) 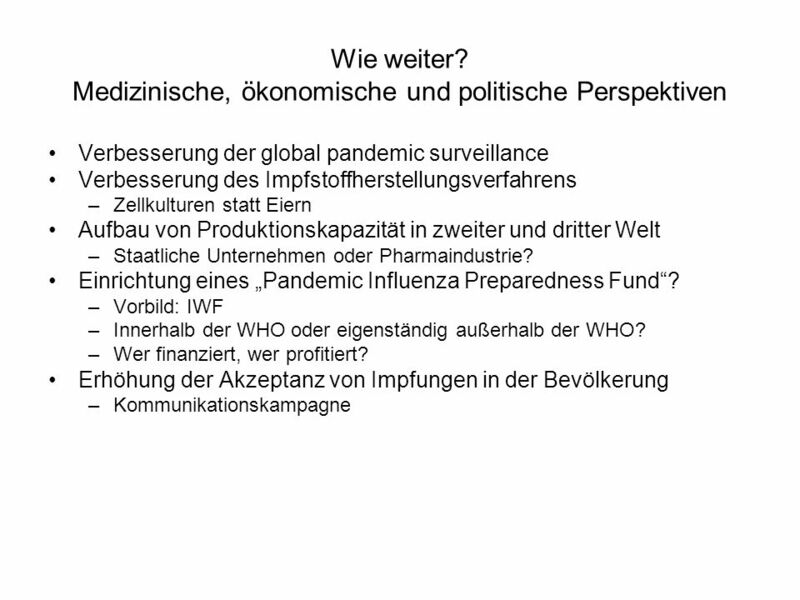 Neuerdings: eigene (staatliche) Impfstoffherstellung in Brasilien, Thailand, China Grundsatzfrage: Impfstoffherstellung privatwirtschaftlich oder staatlich organisieren? Weltweite Verteilung des Impfstoffs: welche Länder kriegen Impfstoff, welche kriegen keinen? 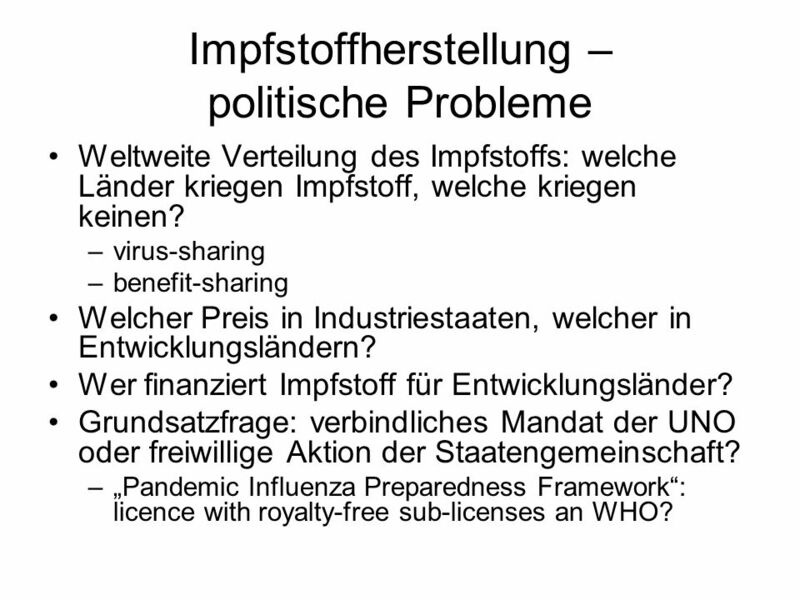 virus-sharing benefit-sharing Welcher Preis in Industriestaaten, welcher in Entwicklungsländern? Wer finanziert Impfstoff für Entwicklungsländer? Grundsatzfrage: verbindliches Mandat der UNO oder freiwillige Aktion der Staatengemeinschaft? 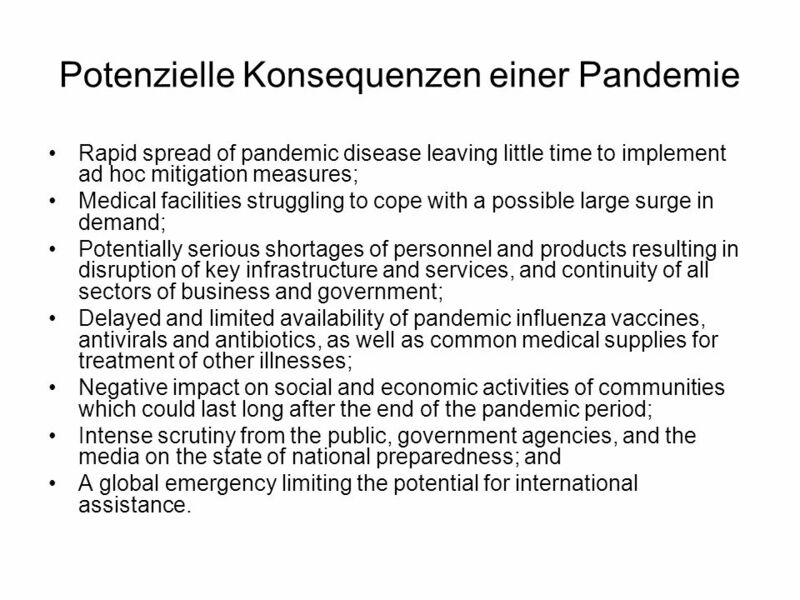 „Pandemic Influenza Preparedness Framework“: licence with royalty-free sub-licenses an WHO? 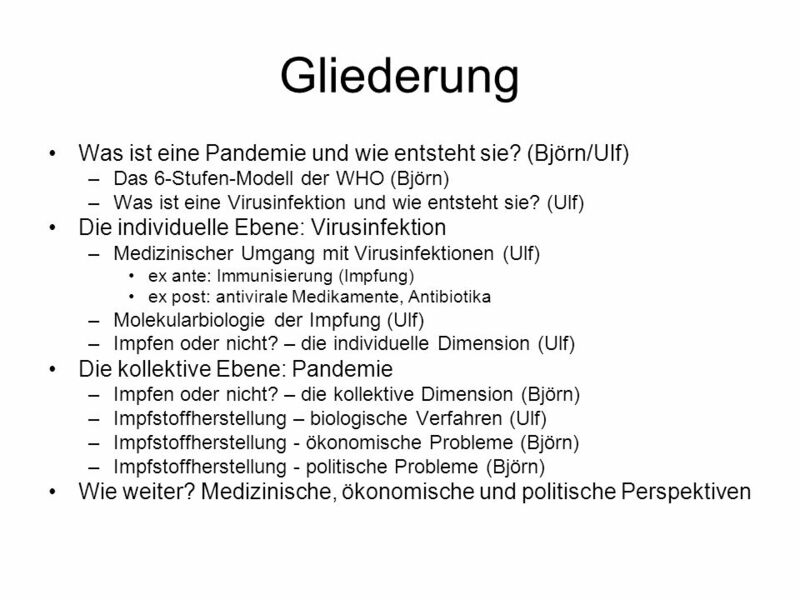 Herunterladen ppt "Internationale Pandemiebekämpfung - eine interdisziplinäre Perspektive am Beispiel der Schweinegrippe Christer Bäck, Björn und Ulf Gehrmann, Dominik Heling." Deutsches Zentrum für Luft- und Raumfahrt e.V. SCIAMACHY Calibration Review, 9-13 Sept 2002 page 1 Calibration Review: SCIAMACHY. NUMEX – Numerical experiments for the GME Fachhochschule Bonn-Rhein-Sieg Wolfgang Joppich PFTOOL - Precipitation forecast toolbox Semi-Lagrangian Mass-Integrating.